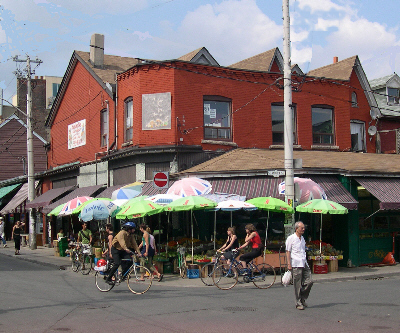 Each former municipality in the City of Toronto has a pre-amalgamation bylaw that regulates boulevard cafés and boulevard marketing activities. As a result, the requirements, approval processes, permit types and application fees are different depending on the area where the business is located. Boulevard Marketing area (Photo: City of Toronto). 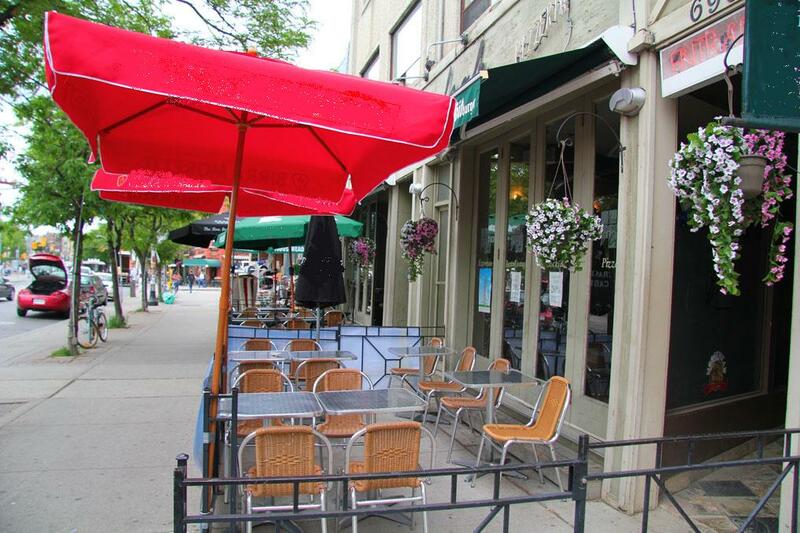 In order to create a harmonized boulevard cafés/sidewalk patios and marketing bylaw which will apply to all areas of Toronto, the City of Toronto is hosting public consultation sessions to review bylaws on sidewalk patios/boulevard cafés and marketing. The City of Toronto’s Municipal Licensing and Standards division has undertaken this review. The review includes in-depth research, analysis and consultations with business operators and the public. February 18 in North York Civic Centre‘s committee room 3. 1. Attend one of the above consultation sessions. 2. Please click here to take the online survey if you are a member of the public. 3. If you are a boulevard cafe or marketing permit holder, please click here to leave comments/feedback. The review will proceed in three overlapping phases. Staff will engage Toronto Boulevard Cafe permit holders, Boulevard Marketing permit holders, members of the general public, residents/community groups, and relevant business associations. Staff will compile and review suggestions from Phase 1, while performing research and analysis. Staff will submit a Final Report with recommendations for the industry to the Licensing and Standards Committee in the first half of 2014. The Final Report will contain recommendations on the harmonized bylaw regulating Toronto’s Boulevard Cafe and Marketing activities. The final report will be posted online, and stakeholders and the public may depute on the final report at a Licensing and Standards Committee meeting. Please click here for more info about the Boulevard Cafés & Marketing Review.